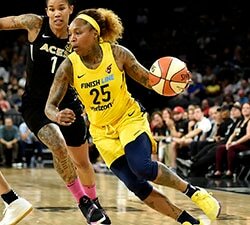 NEW YORK, April 8, 2019 – The Women’s National Basketball Association (WNBA) today announced a multiyear marquee partnership with AT&T, making the global communications and technology company the first non-apparel partner to have its logo featured on the front of all 12 team jerseys throughout the league. 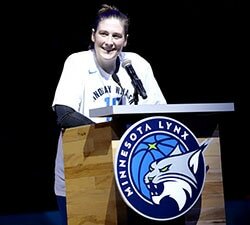 The jerseys will officially debut during this week’s WNBA Draft presented by State Farm on April 10 at NIKE’s NYHQ. 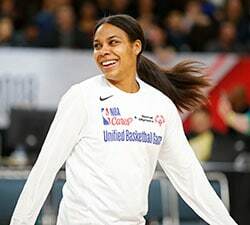 Through WNBA Cares, the WNBA is deeply committed to creating programs that improve the quality of life for all people, with a special emphasis on programs that promote a healthy lifestyle and positive body image, increase breast and women’s health awareness, support youth and family development, and focus on education. 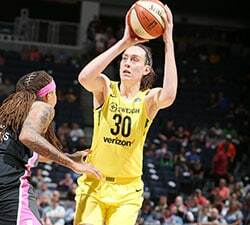 For more information about the WNBA, visit www.WNBA.com.